Prohibition’s lingering legacy evident in quirky new liquor license. Oak Park has no liquor stores. This fact, little known outside the suburb and well known within it, dates back before Prohibition, to 1902, when the town was incorporated as “dry.” After Prohibition’s repeal in 1933, Oak Park, like many other communities that took advantage of the “local option,” chose to remain liquor-free. Since the 1970s, the city’s ban on alcohol sales has slowly lifted, allowing for the sale of wine and beer in restaurants and retail stores. Hard alcohol, however, has been a different story. Though it received a license to sell beer and wine six years ago, Marion Street Cheese Market didn’t get permission from the Oak Park Village Board to serve cocktails and spirits in its restaurant until a year and a half ago. Then, last month, the board took the next step, making Marion Street one of the first retailers to sell bottles of liquor in Oak Park. There is, however, one catch: Marion Street is permitted to sell only small-batch, artisanal spirits. This suits the owner, Eric Larson, just fine. “Nothing against [Smirnoff and the like]; it’s just not what we’re about,” says Larson, whose café and shop are known for their carefully selected artisanal cheeses and ingredients sourced from local farmers. In keeping with that philosophy, Larson is all about small-batch spirits from around the country, boutique Scotches and, in particular, local products, such as those produced at Chicago-based Koval and Lake Bluff–based North Shore Distillery. 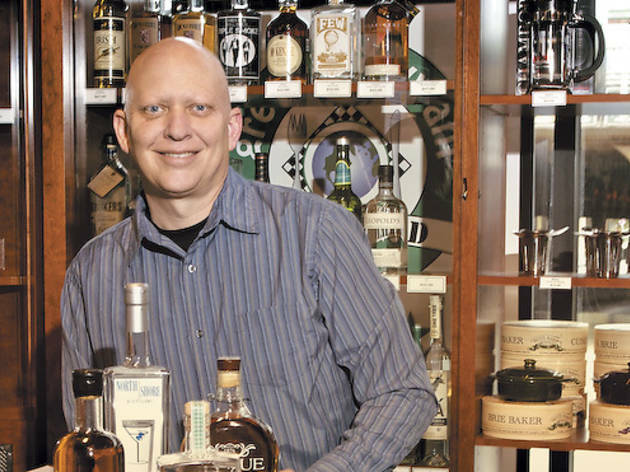 “One of the things that helped us get the village on board was that we’re supporting local production,” Larson says, “…and that there was a demand in the Oak Park community for these kind of spirits,” which residents would have had to trek to the Binny’s in Elmwood Park to find. 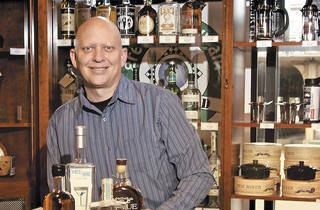 Spirits are now on the shelves at Marion Street Cheese Market (100 S Marion St, Oak Park, 708-725-7200).